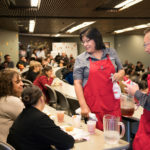 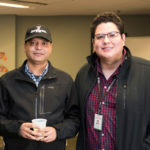 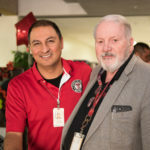 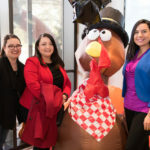 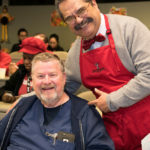 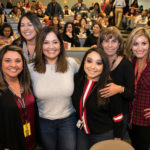 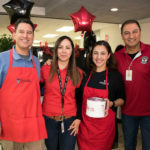 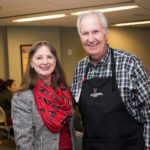 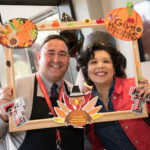 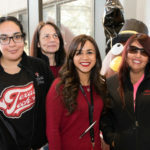 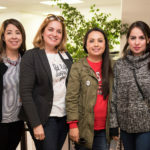 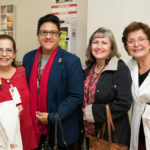 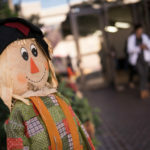 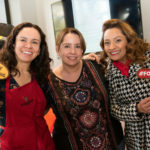 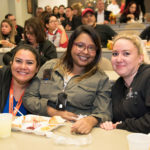 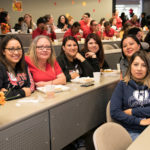 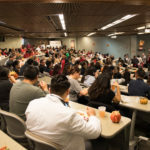 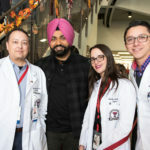 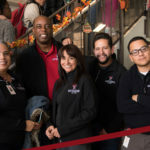 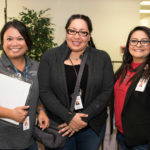 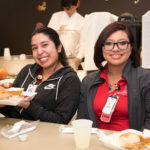 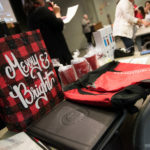 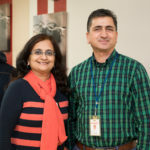 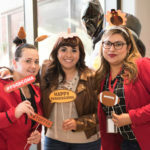 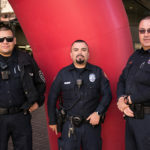 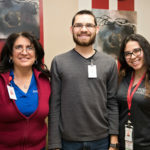 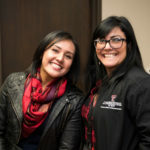 On Friday, Nov. 16, Texas Tech University Health Sciences Center El Paso (TTUHSC El Paso) celebrated the Thanksgiving holiday with a big “Thank you!” for its students and employees with a turkey lunch with all the trimmings. 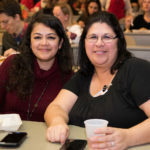 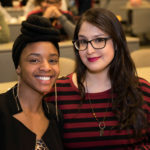 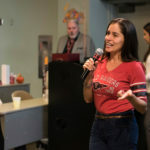 As attendees gobbled turkey, stuffing, mashed potatoes, cranberry sauce and pumpkin pie, they learned how their giving has contributed to the university and community. 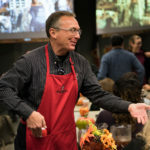 The lunch was hosted in the Academic Education Center’s Misenhimer Auditorium. 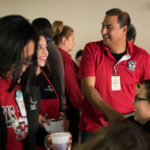 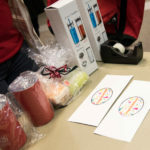 Deans, administrators and directors from all departments volunteered as waiters and waitresses, refilling drinks, topping off slices of pie with whipped cream, and helping out in any way they could. 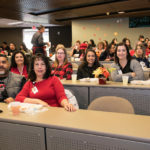 The annual luncheon was organized by the TTUHSC El Paso Employee Committee.